Bhāradvāja was not able to convince Vāseṭṭha, and Vāseṭṭha was not able to convince Bhāradvāja. “Yes, sir,” Bhāradvāja replied to Vāseṭṭha. I am a student of Pokkharasāti, and this is a student of Tārukkha. We know the words and the explanations, we are equal to our teachers in recitation. “There is a dispute between us about birth, Gotama. Bhāradvāja says one is a brahmin by birth, and I say it is by action. So we came to ask you, the honorable one, reputed to be a completely enlightened being. In this world, they respectfully honor Gotama. Is one a brahmin by birth, or by action? An analysis of the distinctions in birth among beings. And by birth they are different from each other. “In this way we see that their differences are produced by birth. But among humans there is no difference produced by birth. There is no difference produced by birth, as it is with other beings. “In human bodies no discrimination can be found. Different human types are spoken of by designation alone. As a farmer, Vāseṭṭha, not a brahmin. 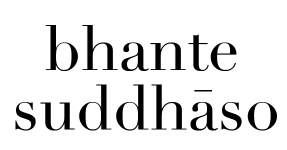 As a craftsman, Vāseṭṭha, not a brahmin. As a merchant, Vāseṭṭha, not a brahmin. As a servant, Vāseṭṭha, not a brahmin. As a thief, Vāseṭṭha, not a brahmin. As a warrior, Vāseṭṭha, not a brahmin. As a priest, Vāseṭṭha, not a brahmin. As a ruler, Vāseṭṭha, not a brahmin. “I do not call one a brahmin based on a mother’s womb. Nor is one called a brahmin if one possesses anything. But one who has nothing and attaches to nothing – that one I call a brahmin. Who has transcended all limitations, free of fetters – that one I call a brahmin. An Awakened One who has removed the lock – that I call a brahmin. With patience as strong as an army – that one I call a brahmin. A tamed one, bearer of its final body – that one I call a brahmin. One to whom sensual pleasure does not stick – that one I call a brahmin. Unburdened and unfettered – that one I call a brahmin. Who has attained the highest goal3 – that one I call a brahmin. Not valuing any abode, with few wishes – that one I call a brahmin. Who neither injures nor kills – that one I call a brahmin. Unattached amidst the attached – that one I call a brahmin. Like a mustard seed from a needle – that one I call a brahmin. And who does not adhere to anything – that one I call a brahmin. Beautiful or ugly – that one I call a brahmin. Free of aspiration and unfettered – that one I call a brahmin. Sorrowless, stainless, and pure – that one I call a brahmin. Who has completely eliminated delight – that one I call a brahmin. That one I call a brahmin. Who has completely eliminated sensual desire – that one I call a brahmin. Who has completely eliminated craving – that one I call a brahmin. One who is not bound to any connection – that one I call a brahmin. A hero who has conquered the entire world – that one I call a brahmin. Unstuck, sublime, and awakened4 – that one I call a brahmin. An Arahant whose corruptions have been eliminated – that one I call a brahmin. Having nothing, attached to nothing – that one I call a brahmin. Unagitated, cleansed, and awakened – that one I call a brahmin. And has attained the elimination of birth – that one I call a brahmin. Produced by convention, they are assigned here and there. Not understanding, they say that by means of birth one is a brahmin. “It is not by birth that one is a brahmin; it is not by birth that one is not a brahmin. By action one is a brahmin, and by action one is not a brahmin. “One is a farmer by action. One is a craftsman by action. One is a merchant by action. One is a servant by action. “One is a thief by action. One is a warrior by action. One is a priest by action. One is a ruler by action. “The world goes by action; the populace goes by action. Beings are bound to their actions, like the axle on which a wheel moves. By means of this one is a brahmin; this is the ultimate brahmin. 5 Knowledge of past lives, knowledge of rebirth, and knowledge of how to eliminate one’s corruptions.